Home / Virginia Free Dirt! 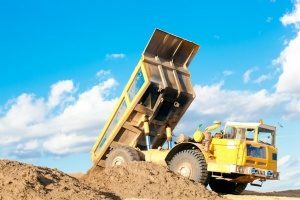 Dirt Connections provides Virginia free fill dirt delivery to any commercial or residential site in Northern Virginia. Our reliable and affordable dirt delivery services can simplify your construction logistics while saving you time and money. Dirt Connections has the knowledge and the resources to help you to successfully complete your project, regardless of its size. 6 Schedule Your Free Dirt Delivery Today! Our Virginia free dirt delivery services are accessible throughout Northern Virginia. Dirt Connections is your ally in any construction setting, and we are fully equipped to ensure a fast and efficient job. We are here to help supply any and all of your fill dirt needs, regardless of the size of the project that you have taken on. Delivery fees may apply based on the job site’s proximity, specific demands our customers have, and availability of required materials. It doesn’t matter how much you need – we are here to help your project in all of the ways we are able to. We require that you set up a full site safety inspection before finalizing the fill dirt delivery order. This site inspection is provided completely free of charge. This inspection is complimentary, and requires the authorization beforehand from the owner or agent is required to grant access to the premises. We don’t just offer to deliver free fill dirt, we can remove excess dirt as well. If you are performing any task that requires some excavation, you could be left with plenty of dirt you don’t need around anymore. We can take that dirt off your property so you don’t have to worry about it. Anyone who needs fill dirt to build stable foundation should consider free fill dirt delivery. Fill dirt is also helpful for filling holes, leveling areas, among other uses. We have been busy supporting development in Northern Virginia for some years now and our familiarity with local communities and transportation allows us to provide knowledgeable and highly dependable services. By using our competitively priced dirt delivery and removal services services, you can feel confident that your delivery will occur on time and without breaking the bank. 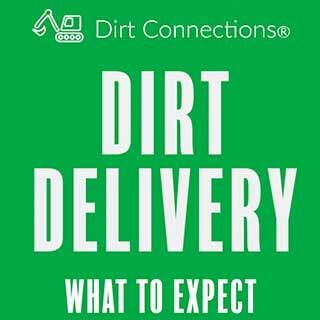 Schedule Your Free Dirt Delivery Today! Dirt Connections has the means to fulfill all of your specific fill dirt needs, regardless of how large or small your project is. Our affordable and convenient delivery can be counted on to get everything done right on schedule. Send us a message or give us a call today to discuss your project, and to set up your complimentary site safety inspection and free dirt delivery.